As Christmas shoppers swarm malls and scour online stores for the year’s most in demand technology gifts, companies in the insurance industry and their insureds are writing their own technology ‘want’ lists for the coming year. From artificial intelligence to connected devices, 2018 saw a continued rise in interest from both insureds and their insurers in implementing tech-based solutions to mitigate against risks, reduce losses, and increase efficiencies – and for good reason since some experts say that insurance companies have no choice, but to innovate or risk being left in the dust by their competition. 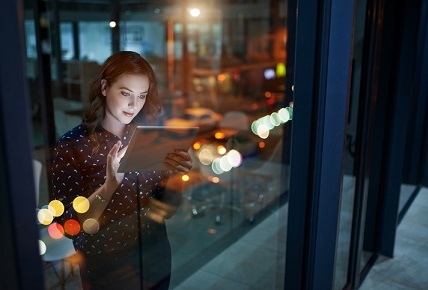 While the benefits of technology are clear to anyone who has ever upgraded from a flip phone to a smartphone, these solutions can also introduce new risks that insurers need to be aware of, particularly when it comes to one tech trend that’s on the rise. Government interest around IoT devices is also picking up as cities plan their evolution into ‘smart cities’, which will involve tracking what the city’s population is doing, where they’re staying and spending their time, and how they move and travel throughout the city with the use of sensors. The expectation is that over the next few years, there will be more than 50 billion IoT devices in use around the world, explained Derigiotis. The risks of sensor technology range from an Uber vehicle’s fatal collision in Arizona this year, when the car’s sensors failed to identify a person crossing the road, to potential cybersecurity breaches. Insurance companies are not only interested in what their insureds are doing with technology, but how they can bring technology solutions in-house to add value to their business processes. The Philadelphia-headquartered agency and brokerage firm Graham Company has been investigating machine learning and automation in the analysis of the provisions of specific insurance policies for large commercial insurance buyers. Graham Company offers many customized insurance products to its insureds, and sees a ton of upside in utilizing AI tools to ensure that any vulnerabilities in policies that expose businesses to loss are caught before they cause problems. That technology can also help confirm that updated policies still reflect what was agreed upon by the carrier, broker, and insured, explained Morrin. Many brokers agree that AI will help them work smarter and provide more personalized solutions to their clients, according to a recent Argo survey, though, at the same time, many view the technology with weariness because they believe it poses a risk to the insurance industry. That’s not the only obstacle standing in the way of artificial intelligence adoption by the world of insurance. Nonetheless, despite the hesitancy by some to dive into AI – even by giants in the industry like State Farm, which recently launched an ad mocking AI-powered insurtechs – insurance companies are recognizing the potential of AI and other technologies to change their work for the better.